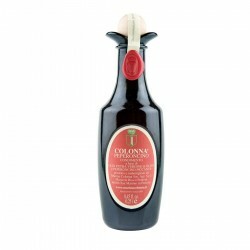 The Extra virgin olive oil Marina Colonna is produced at the Masseria Bosco Pontoni, near San Marino in Pensilis in the Molise region. The olive grove stretching over 50 hectares, has a wide selection of varieties as an indigenous nature of the Molise region or from other Italian regions that produce levels. The main cultivating that we find are: Leccino, the Peranzana, Frantoio, the Coratina, Gentile Larino, the Ascolana Tenera, Cima di Melfi, the FS17, the Rosciola, the Nocellara Belice, Itrana, the Kalamata, the Maiatica, the Leccio Del Corno, the Termite Bitetto. More than half have organic certification. 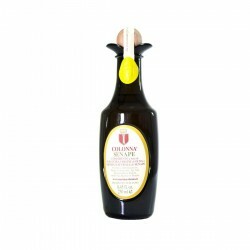 What characterizes the production of the Extra virgin olive oil Marina Colonna is the attention to every stage of production starting from the treatment for the plants to be completed with the extraction of oil: is important to the success of a high quality extra virgin containing all the olfactory, taste and health benefits. 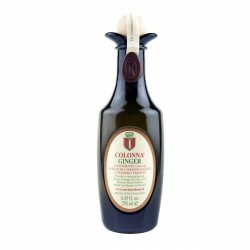 The oil obtained in this way by following all the precautions indicated, it will be very rich in vitamins and polyphenols: it will be a real food 'functional' as indispensable aid to our well-being and disease prevention. 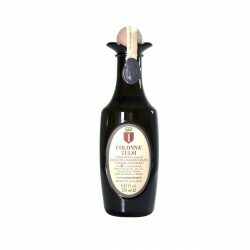 - New York Olive Oil Competition 2014 - Gold medal Winner 'Marina Colonna Peranzana balanced between bitter and spicy with notes of artichoke and exceptional harmony. A high complexity and persistence '. - Crown Master of Oil in 2014 as part of the guide 'Terre d'Olio' by Fausto Borella. - Gambero Rosso - three leaf oils of Italy 2013 guide Gambero Rosso. 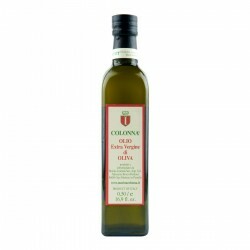 - New York Olive Oil Competition 2013 - Silver Award Winner 'Marina Colonna is one of the best extra virgin olive oils in the world for the year 2013 ".